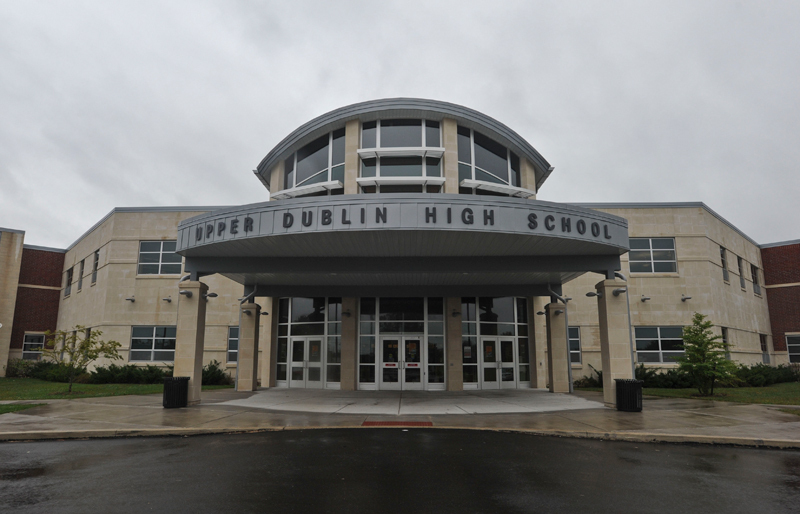 FORT WASHINGTON, Pa. — Upper Dublin High School had the 10th highest SAT scores of any public school in Pennsylvania last year. It occupies a gleaming, just-completed $119 million building where a sushi chef supplements the cafeteria offerings on Wednesdays. Its graduation rate exceeds 99 percent, and more than 95 percent of graduates go on to two- and four-year colleges. Yet even here, teachers are worried about being able to get all their students to pass state exams in algebra, literature and biology, which will likely be required for a diploma beginning with the current freshman class. So where does that leave the rest of Pennsylvania? “It would be a shame if we set kids up for failure,” said Dan Ortiz, a social studies teacher at Upper Dublin High, a 1,500-student school in Philadelphia’s northern suburbs that was graced with the new building after a 2007 voter referendum. With student diplomas potentially at stake, the pressures that high-poverty urban schools have experienced for years around standardized test scores may now be heading to the suburbs. For years, suburban educators have had far more instructional freedom than their counterparts at urban high-poverty schools because the stakes attached to testing didn’t pose much threat to them. But the new “Keystone exams” are significantly harder than the Pennsylvania System of School Assessment tests they replaced, and those tests were not required for graduation. During a trial administration of the Keystones in 2011, only 38.6 percent of students statewide passed in algebra, 35.7 percent passed in biology and 49.9 percent passed in literature. In a federal grant application that year, state officials set a goal of 66 percent passing algebra and 63 percent passing biology by 2015. 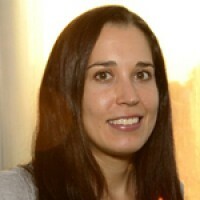 Students will have multiple chances to take the exams, and those unable to pass will be offered the opportunity to do projects in the same subjects instead. 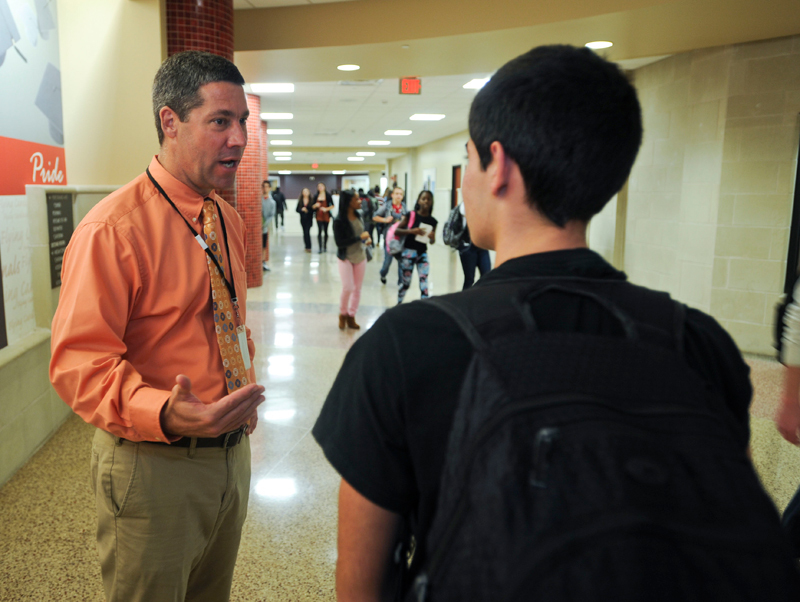 For those who still can’t pass then, district superintendents will have the authority to grant waivers to up to 10 percent of students, though districts that use that authority liberally will be required to submit a corrective-action plan. State board member and Democratic Sen. Andy Dinniman, who represents portions of Chester and Montgomery counties, said every superintendent in both those counties opposes the Keystone exams as a graduation requirement, but all are in favor of the Pennsylvania Core Standards. That also seems to be the prevailing sentiment among teachers and administrators at Upper Dublin High, located in Montgomery County outside Dinniman’s district. Several educators interviewed at the school said they like how the standards require reading and writing in every subject, not just English, and they like the collaboration among departments that is occurring as a result. They praised the critical thinking that both the standards and the exams demand, in contrast to the low-level memorization skills gauged on most state standardized tests. But they’re concerned about what the Keystone exams will mean for lower-performing students. “They’re going to struggle with it,” said Mike Fogle, who teaches math subjects including Algebra I, the Keystone-tested subject. They also worry about what changes their school, which has never emphasized teaching to a test, will need to institute to ensure that no one is denied a diploma. “Will kids no longer be able to take electives so they can sit in a remedial math class?” asked Principal Robert Schultz. The decision is his, technically, but will he really have a choice? “I don’t want to say it’s much ado about nothing, because it’s not nothing, but it’s more ado about something than it should be,” said the principal, who graduated from Upper Dublin High in the 1980s and now has a daughter there. Science teacher Rick Schmidt questioned why knowledge of biology is considered an essential life skill for a high school graduate. In the workforce, he asked, “what is the essential nature of biology for most people to do what they need to do?” In addition, he sees the biology Keystone as contradicting a central tenet of Common Core: to go deeper in fewer subject areas. “We’re trying to hit everything, so you hit everything an inch deep, and by the end of the year, you’re exhausted,” said Schmidt, recipient of a 2012 Presidential Award for Excellence in Mathematics and Science Teaching. Around the country, many states are switching over to one of two new national exams linked to Common Core. Those assessments are also seen as more difficult than the state tests they are replacing, but not all states are using them as a graduation requirement. At the elementary level, Pennsylvania is keeping its existing PSSA tests, but beginning in 2015, it will align the test questions with the state’s Core Standards. In the meantime, with the new standards becoming official but one more year of tests on old benchmarks, “we truly are in limbo,” said Janet Blenheim, a math coach for the Upper Dublin School District, which serves 5,000 students in four elementary schools and one middle school in addition to Upper Dublin High. The district headquarters where she keeps an office occupy a 1793 barn and farmhouse that is a stop on the underground railroad tour. In English, teachers at both the elementary and high school level said they are excited about the standards’ increased emphasis on nonfiction, even though it means fewer novels. Tre Milrod, a fourth-grade teacher at Maple Glen Elementary, said the change will better prepare students for college.